National Cattle Evaluation has never been static, and future changes are inevitable as science continues to advance. Photo courtesy of Matt Spangler. The majority of beef breed associations have made (or are currently making) substantial changes to their National Cattle Evaluation (NCE). These changes ultimately benefit commercial bull buyers by providing improved Expected Progeny Differences (EPDs) and improved economic selection indices. This brief article is not meant to be an exhaustive list of the changes to NCE by breed organization, but rather to highlight changes in general and the benefits these changes created. In mid-2017, the American Angus Association (AAA) made a substantial change to the way in which genomic information is incorporated into EPDs. This change in methodology, known as a ‘single-step’ approach, uses genomic data to augment traditional pedigree using software developed by the University of Georgia. This allows for a more refined estimate of the relationship between animals, and thus more reliable EPD. Although this may have been one of the more widely advertised changes, other changes occurred as well including updates to genetic parameter (e.g., heritability) estimates and changes to the underlying statistical models to estimate EPDs. The American Hereford Association (AHA) released its own ‘single-step’ evaluation in December of 2017. The software used by the AHA (BOLT; Theta Solutions, LLC) allows for some DNA markers to have larger effects, and thus, influence resulting EPD more than others. This is the primary difference between the approach taken by the AHA as compared to AAA in terms of incorporating genomic information in their NCE. A notable and simultaneous change to the AHA evaluation was an updating of their economic indices to include more Economically Relevant Traits (ERT) as well as an update in the economic assumptions. 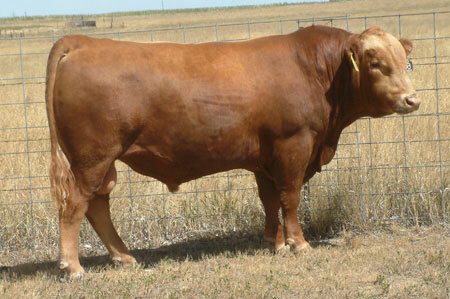 These new AHA indices should prove very valuable when selecting Hereford bulls. International Genetic Solutions (IGS) is a collaboration between multiple U.S. and Canadian breed associations. This group is currently working towards a multi-breed genetic evaluation using BOLT (same software as AHA) to produce a ‘single-step’ genomic evaluation. As with other organizations, along with the change in the way genomic data are included into EPD, substantial changes in the statistical models for EPD are being made that will ultimately allow for more reliable EPD. Another notable change for breeds using BOLT for their NCE is numerically lower accuracy values associated with EPD. This seems at odds with the fact that the EPD are more reliable. These seemingly lower accuracy values are simply due to different means of calculating accuracy (think of it as more accurate accuracy). They should be interpreted and used in the same fashion as before. National Cattle Evaluation has never been static, and future changes are inevitable as science continues to advance. However, the changes that have occurred in the past few months represent a considerable leap forward. Although change is cursed by some (not all) seedstock producers given the re-ranking of some sires, it should be applauded by commercial bull buyers. These organizations and the scientific community that collaborates with them continue to strive to produce genetic selection tools using the best science available. More information relative to these changes can be found at the respective breed association websites (American Angus Association, American Hereford Association, and American Simmental Association--IGS) as well as ebeef.org.